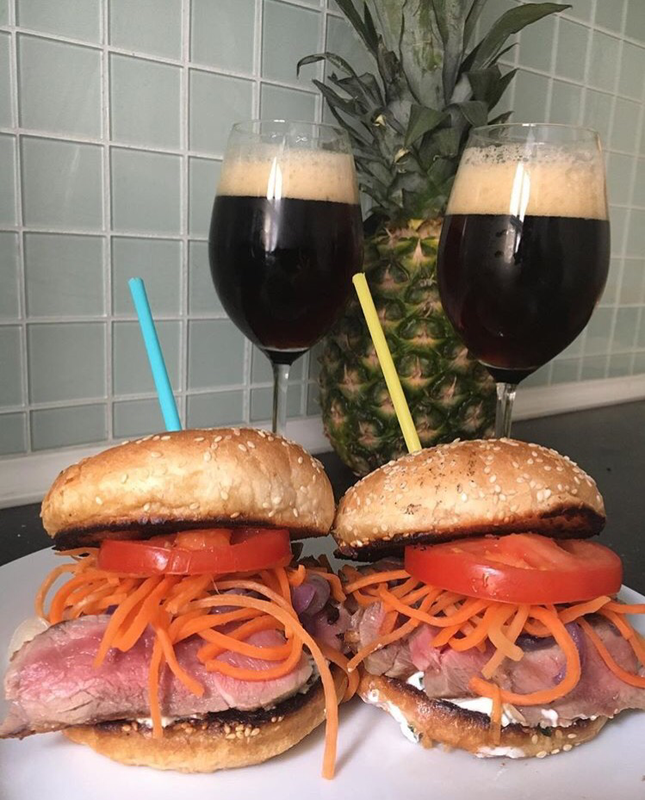 This morning I woke up with the desire to make a nice home made burgers, so I discuss with my girlfriend and we decided together to make a Healthy Lamb hamburger. One of the most important aspects of any healthy eating journey is variety – it keeps us all sane and satisfied. I draw a lot of inspiration from various cuisines around the world. It’s not as complicated as you may think – it’s just a matter of pairing different spices and herbs together, and when necessary, incorporating regional sauces/spices. Healthy, wholesome and a mix of ingridients. A recipe where prevails the genuineness, the awareness of bring to the table a quality dish. In my fridge I had a Greek Yogurt, some carrots, tomatoes and a lamb shoulder leftovers from the day before. If time allows, put the yoghurt in a sieve suspended above a bowl and leave to drain for a couple of hours.Coarsely grate the cucumber and put in a colander in the sink. Salt lightly, toss and leave to drain for 30 minutes.Squeeze out the cucumber very well, then stir this into the yogurt. Allow to sit for a couple of hours, but preferably overnight. Cut a julienne onions and let cook on low heat for a few minutes so that it becomes soft and give sweetness to the dish. Cut a julienne the carrots season with salt and lemon juice and let marinate for few minutes. Squeeze the tomato, then cut to slice and season with salt. Once prepared everything, we start to fry the steaks in a very hot frying pan for at least 3/4 minutes on each side until it reach at least 53 degrees inside and then let resting for 6 minutes before slicing really thin and season with flake salt. Meanwhile roast the bread that you choose for the burger and fry adding some butter, in the same pan where you fry the lamb. So spread a Tzataki on the down part of the bread following in this order: steak, sweet onion, carrot and tomato. Then cover and eat this beautiful and delicious burger with a nice double malt beer, as we did.